Base building systems are highly vulnerable to cyberattacks and create technology headaches for property managers and engineers. The Intelligent Riser network is specifically designed to keep your building systems secure and running 24x7x365. Secure. Proven. Affordable. Today, there is virtually no management of base building systems. Each system stands alone, using a separate non-secure internet connection. 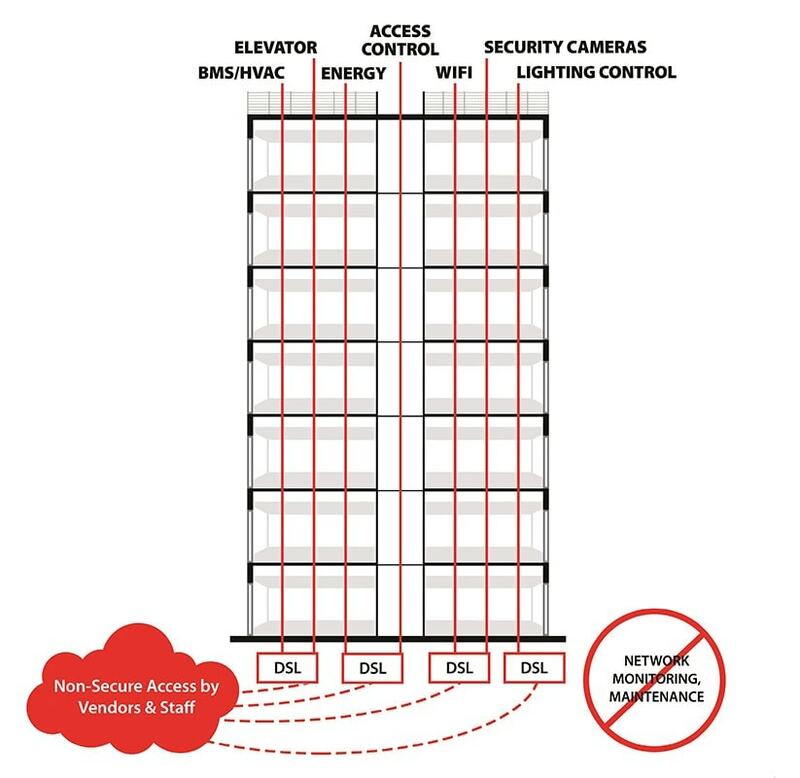 While buildings adopt strict standards and security for corporate networks, these standards are rarely applied to the building system networks. Every day, vendors and engineers connect to your building systems with little-to-no security, making them extremely vulnerable to cyberattacks. Building systems are open and vulnerable to a wide range of cyberattacks. Building system networks are set up and forgotten about… until there’s a problem. After installation, most building systems are rarely updated, increasing security risk and liability over time. 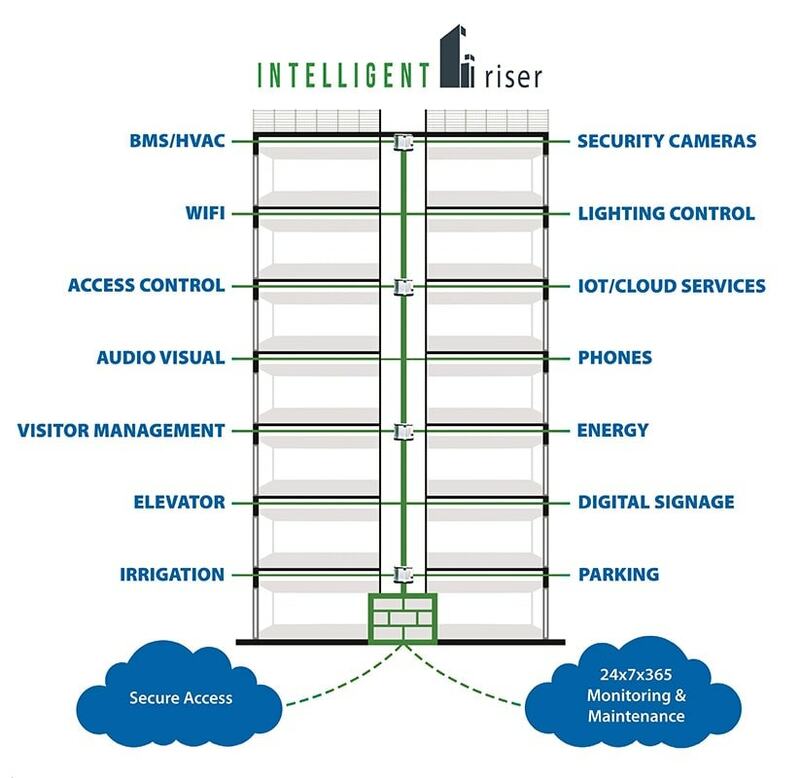 Building systems run securely on the Intelligent Riser network, designed specifically for the building. Our Network Operations Center (NOC) monitors your Intelligent Riser network 24x7x365, preventing intrusions and delivering peace of mind. Our certified network engineers ensure your Intelligent Riser network is always up-to-date with the latest security upgrades.